April 25, 2018 in Star Wars Wed.
At first I had no idea what this was about. It took a moment of confused questioning to find out it was in reference to Beyond the Rim, which had not been discussed up until that point. Having sorted that out, I still didn't immediately zero in on the creature. It's been quite a while and I've worked on a lot of products since it came out years ago. This was in part because the name didn't sound like one I would come up with. Arboreal just isn't a word I'm likely to think up, and I would normally avoid something as Earth sounding as octopus or octopi for a Star Wars creature. My assumption on the spot was that it was a creature that had been renamed by someone. The creature wasn't a joke, and I seem to recall comparing it a little bit to some nasty ceiling mounted monster with a long tongue or tentacle in the old Half-Life video games. The name and creature does show up in my manuscript. Backtracking from there, and with the help of a quick Wookieepedia search, I found the Arboreal Octopi referenced in the Nexu entry in Star Wars The Complete Visual Dictionary (originally from the Attack of the Clones Visual Dictionary). Nexu like to eat the octopi, and they're native to Cholganna. That's the setting for part of Beyond the Rim. Clearly, I found the name while researching the Nexu. However, since only the name existed, so I created the creature around it. Cholganna didn't have a lot of source material, so I wanted to use what was available where I could. One aspect of working in a shared universe is that inspiration and source material can come from a wide variety of sources. Because of this, I try not to jump to too many conclusions when looking back on previous material I worked on, expanded, or created. Star Wars Force and Destiny Unlimited Power, a Sourcebook for Mystics (which I did not work on). Saw's Renegades expansion pack for X-Wing Miniatures. And Realms of Terranoth is now available (which I also didn't work on, though I did do some playtesting) for the Genesys RPG . You can also get the PDF on DriveThruRPG at this link. Note that if you buy it using this link, I'll get a small percentage as an affiliate. Same for this Genesys link. Fact Check: Is the Pacific Northwest Tree Octopus Endangered? 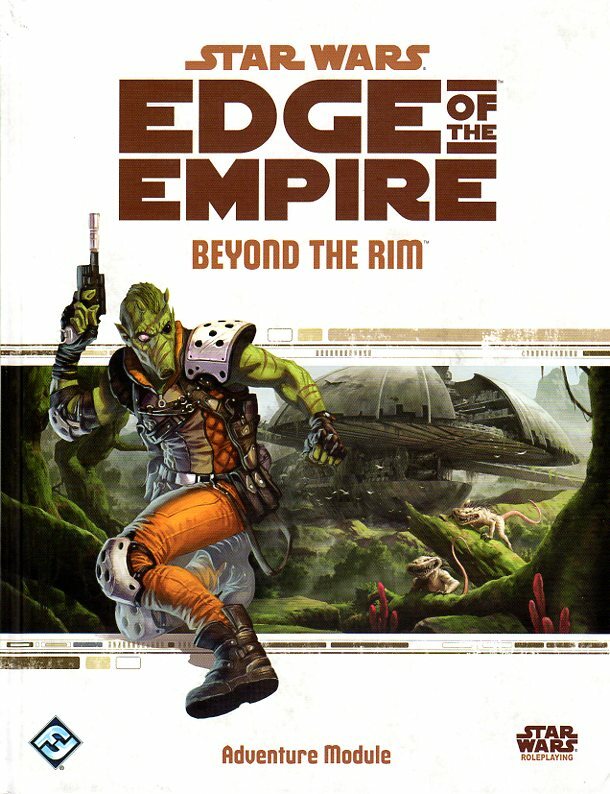 And in a weird twist, here's a blog post from 2013 about Beyond the Rim and the occurrences of tree octopi in sci-fi.